Marble has moved on. Interior Stylist, Louise Parker of Studio Gabrielle reports on her next identified A/W 17 trend: #02 coloured marble. Since high-street brands took the trend as their own, it is transitioning from traditional whites in Carrara and Statuario, toward coloured marble. Let’s face it - it’s been around long enough. Think peaches, blush pinks and inky blacks for a punch of colour. 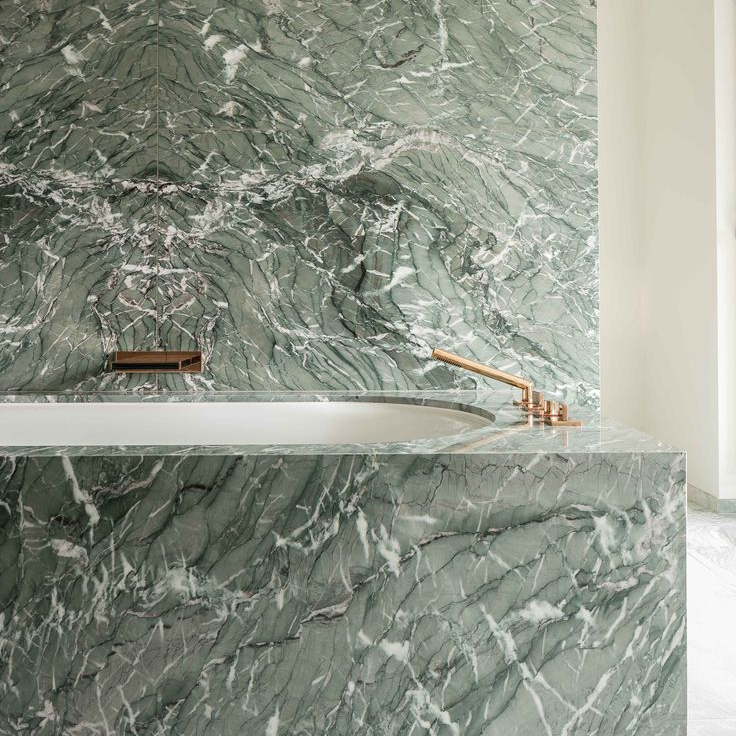 Since Pantone’s Colour of the Year announcement of ‘Greenery’ olive has transformed into 2017’s mint and emerald, even Celine are using green marble in their stores worldwide, together with green inset carpet. If budgets are tight, a good solution is using porcelain tiles instead of natural stone. Porcelain alternatives are even used in high-end international developments. Design mogul, Sir Terence Conran describes green as having a “calming effect in the home and an ability to combine well with numerous colours”. Use a combination of emerald, warm metallics and off-white. 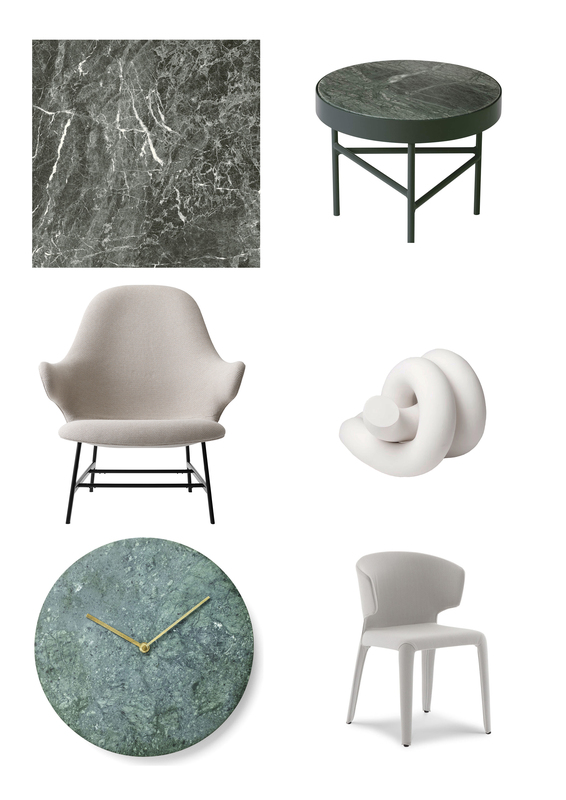 The 367 Hola Chair by Cassina in a light grey textured fabric is the perfect compliment to an all white dining table with subtle green accessories like the Marble Wall Clock by Menu (in collaboration with Norm Architects). For something extra special, add the ceramic form sculpture by Roger Krasznai as a centre piece to the dining setting. (Left to Right) Prestige Collection (PTG106) by Techtile London, Marble Table by Ferm Living, Catch Lounge Jaime Hayon by &Tradition, Ceramic Form Sculpture by Roger Krasznai, Marble Wall Clock by Menu, 367 Hola Chair by Cassina.